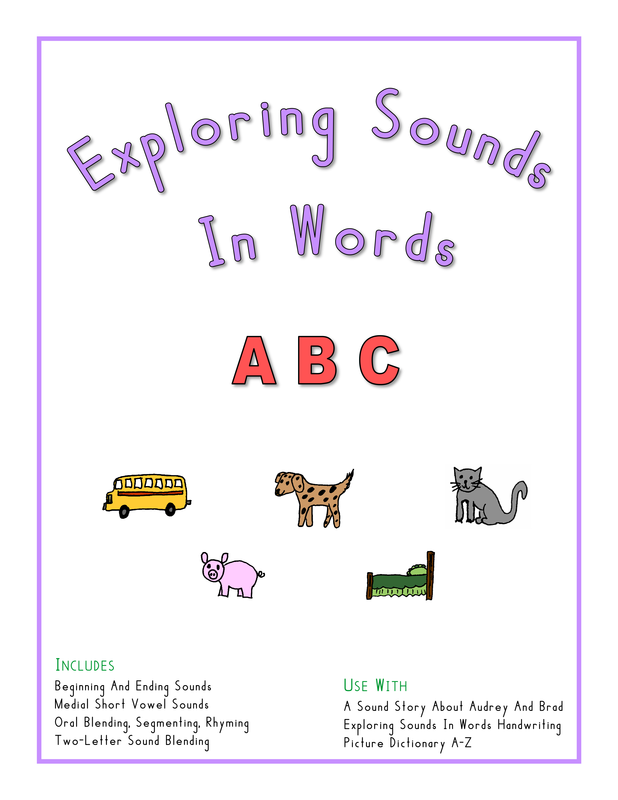 This section provides an overview of the book Exploring Sounds In Words​ and the books that are used with it. To download the PDF files for these books, look under the menu heading PDF FILES, go to the sub-menu PDF FILES - BOOKS LISTED BY LEVEL, then click on PDF FILES FOR LEVEL 2 - EXPLORING SOUNDS IN WORDS. Or, for a shortcut to that page, click here. This is a transition level that prepares students to read short vowel words. It includes many of the same skills taught in Learning The Alphabet, Books 1 And 2, but at a more advanced level. 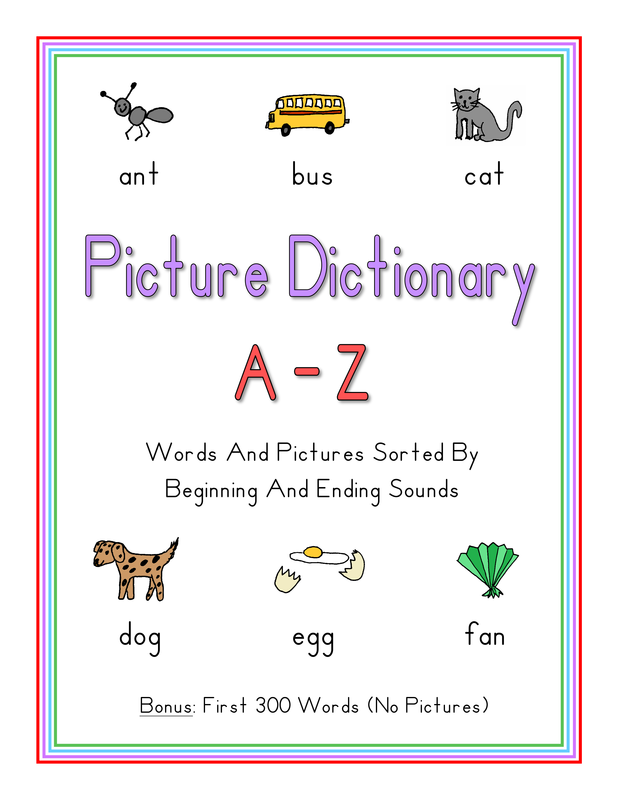 You will use three books at this level, Exploring Sounds In Words, Exploring Sounds In Words Manuscript Handwriting, and Picture Dictionary A-Z. A Sound Story About Audrey And Brad is also recommended. Students work on a number of skills in these books. Students do oral blending exercises with two and three-sound words. They listen to individual sounds pronounced by the teacher, put the sounds together mentally to form a word, find the matching picture, and say the word aloud. Students learn to write the letters of the alphabet. 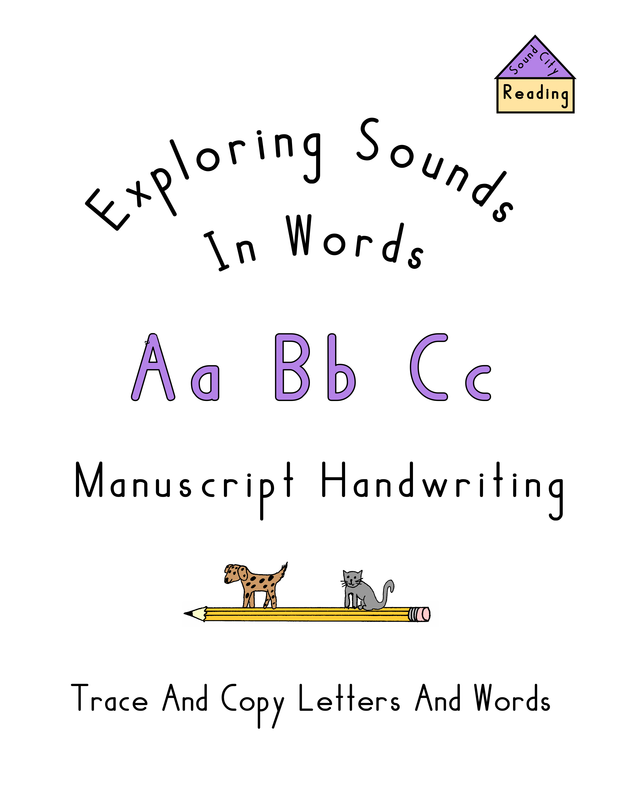 Handwriting pages are included in a separate book, Exploring Sounds In Words Manuscript Handwriting. For each new letter, students trace large capital and lower case letters with a pencil to become familiar with the correct letter formation. Then they trace and copy small letters, both new and review, and an illustrated word. The letters that are easiest to write are taught first, and letters that are the most difficult to write are taught last. The teacher provides extra handwriting practice by dictating letters that have been taught for students to write on lined paper. ​​ The letters are taught in the same order in which they are introduced in the sound story: t i h l n w u b m r f x e s j o c d a v g p k y qu z. This dictation exercise prepares students to begin writing words phonetically at the short vowel level. Students practice building short vowel words with plastic letters, which provides an introduction to the phonetic nature of words. To build a word, students say each sound in order as they move the letters into place on a work mat. This prepares students to read and write words at the short vowel level.